So excited to share my first card that I made with this month Creative Cafe' Card Kit. 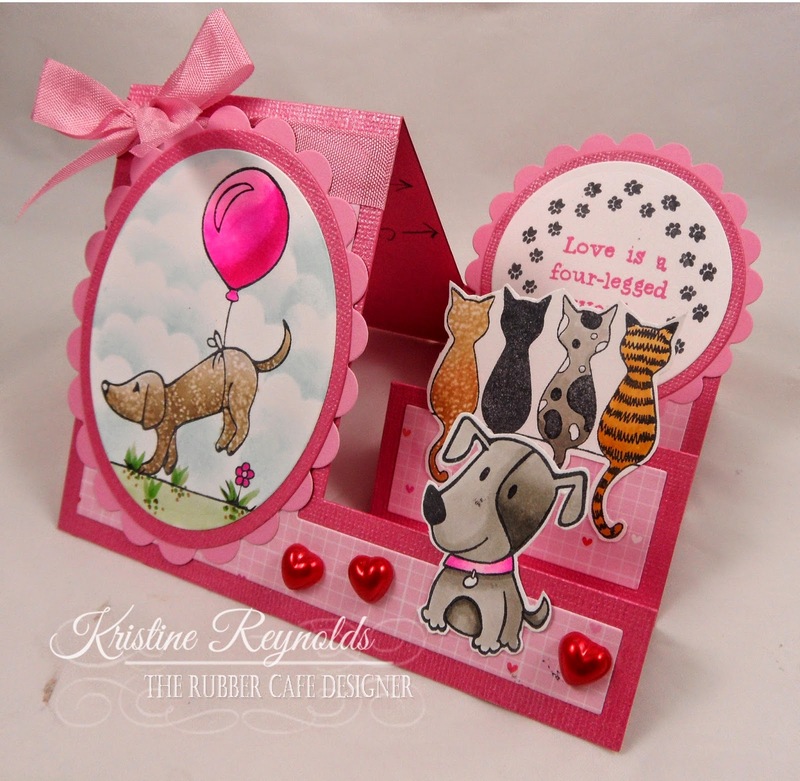 This months kit is called "Love the Most Wonderful Feeling" and it is full of adorable furry friends! For my first card I made a fun side step card. 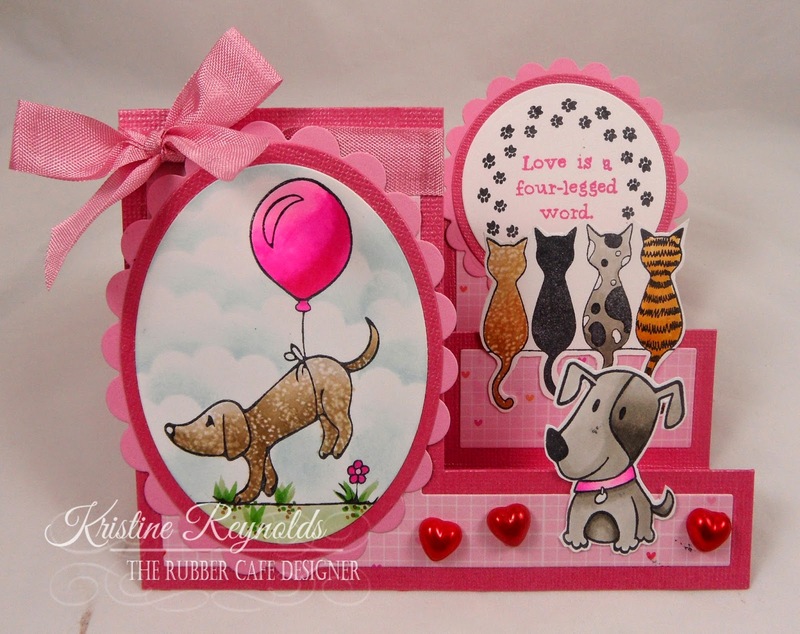 This style of card is such a great way to showcase a bunch of stamps. 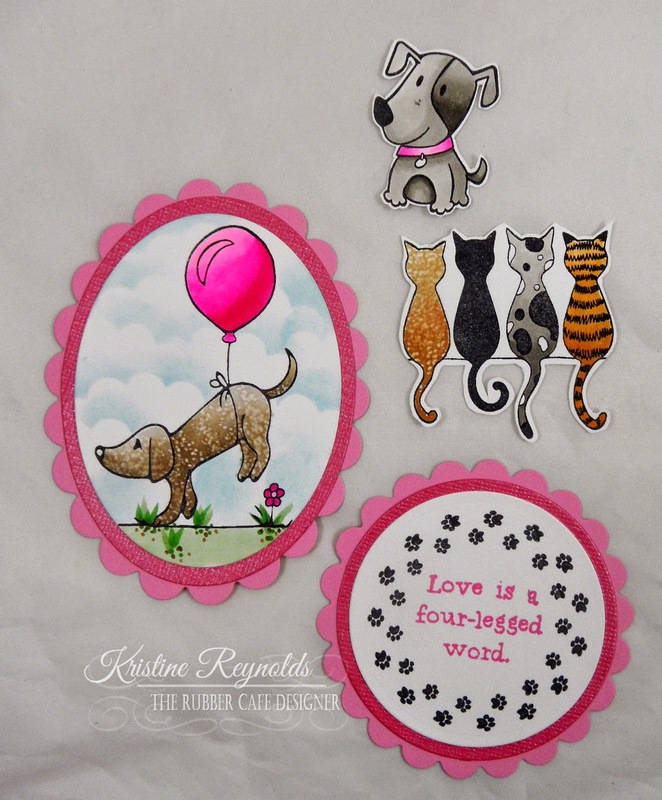 I used the "Live, Love, Bark" stamp set that comes with this months kit as well as the add on set, "Love is a Four-legged Word"
Score down 3 inches at 1 1/8", 2 1/4", 3 5/8", 5 1/8", and 6 7/8". Cut across the bottom of the scored lines as shown. When you fold the card on the lines it will look like this. 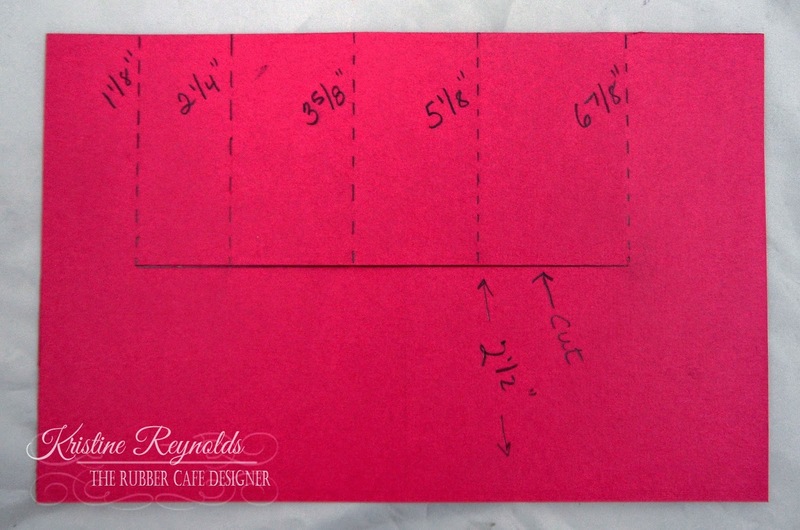 Cut patterned paper pieces to fit the card as shown. 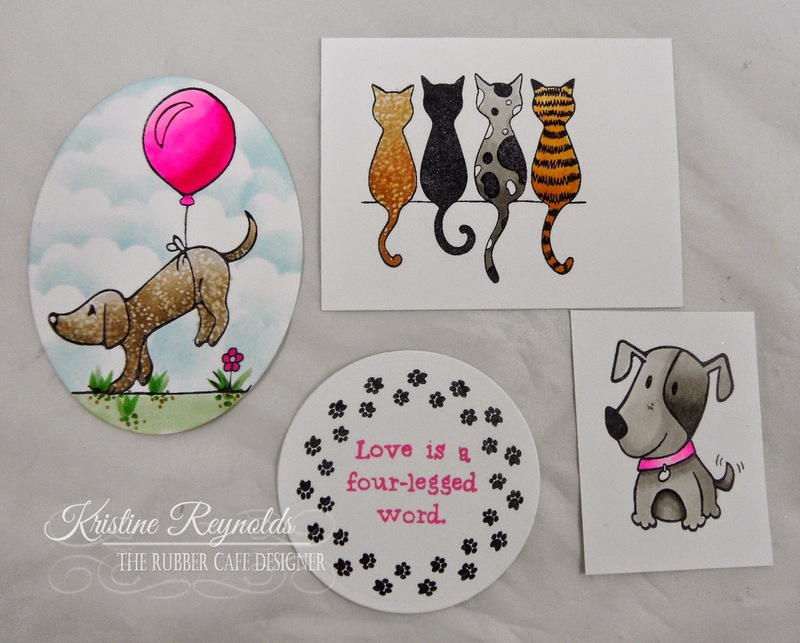 Stamp the images on white cardstock with Memento Tuxedo Black Dye Ink and color with Copic Markers. 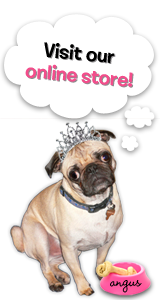 Cut out the dog and the cats. 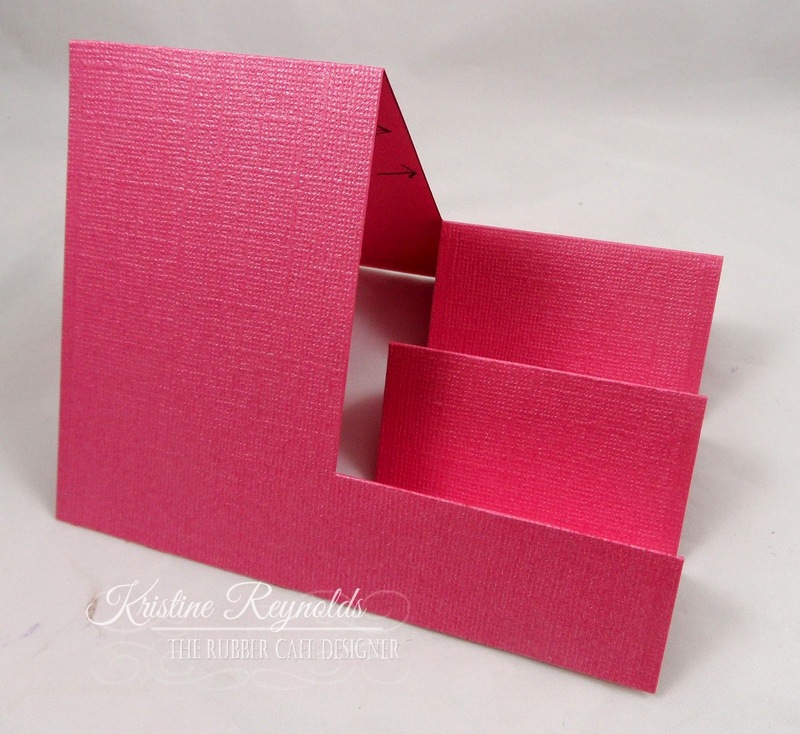 Back the die cut panels with dark pink and light pink die cut panels. Tie a piece of pink ribbon around the large side panel. Adhere all the pieces on to the card with Scrap Happy glue. Add the red heart embellishments. I hope you enjoyed my card today. I'll be back next Sunday with another fun fold card for you!